The Sims is one of those game series that doesn't just allow cheating; it invites it. For many fans, tinkering with the game's inner guts is the best part of playing. 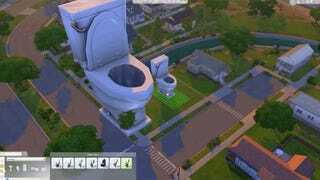 The Sims 4 is no different. But it's also very new. So let's walk through the game's earliest secrets. First off: here's how you cheat. There are two main ways to cheat in The Sims 4, one being a tad more complicated than the other. If you're just trying to use one of the official "approved" cheats to, say, give yourself a ton of money, then all you need to do is press CTRL-SHIFT-C. Once you enter that combo on your keyboard, a text window will pop up on the top left side of the screen. For other cheats, however, you must first enter the phrase "testingcheats true" into the text window that you opened using CTRL-SHIFT-C, then continue with your cheat code of choice. This also lets you execute other cheat codes that require you to use the mouse to shift-click on a specific object. In general, I like to set "testingcheats" to "true" if I'm using cheats and then keep it that way for the rest of the time I'm playing The Sims. Keep in mind that the game will automatically set it back to "testingcheats false" when you travel to a different lot, however. A good rule of thumb is just to re-enable cheats after you see a loading screen. If a cheat isn't working, make sure that you've spelled everything correctly, as the strings of text can be more than a little tricky here. If you care about your Sims, remember to be careful! Some cheats can be irreversible, or at least difficult to revise once you've implemented them. I recommend building a separate world to trick out if you want to start using cheat codes. Many of these cheats involve tweaking specific values, which therefore require putting in specific lines of text. In my experience, most of the values that I'd like to adjust are in line with the way that skills are identified and named in the game itself. But if you're having trouble, I'd recommend consulting one of the exhaustive player-run databases for specific cheats. This one on Reddit is the best I've seen so far. If you want to change specific Sims. Getting married to a Sim I just dropped into the world moment's before. Love at first sight? If that's what you consider spawning a random Sim in your household and then artificially juking their relationship ratings, then...sure, why not? Get a Sim's unique ID number: sims.get_sim_id_by_name [Sim's first and last names]. This one is useful for specific situations, which I'll get to momentarily. To change a Sim's skill level: stats.set_skill_level [skill name] [1-10]. The skill names are pretty self-explanatory: "Writing," "Comedy," "Programming." However, naming here is particularly tricky, as one commenter has already observed. Remember to combine skills with two or more words ("VideoGaming," "GourmetCooking," and so forth). Also, depending on the state of your Sim, the format is different. I had to use "Major_Writing" to boost Zander's skill as a professional writer, for instance. Just using "Skill_Fitness" worked to boost his gym-going abilities, meanwhile. For children, you have to specify that as well so it should look like this: "Skill_Child_Social." Others have said that you must specify "AdultMajor," but it's worked both ways for me. GameFAQs has a good list of specific skills if you're still looking for the correct terminology. Complete current aspiration challenge and awards points: aspirations.complete_current_milestone. To demote a Sim: Careers.demote [NameOfCareer]. Keep in mind that these two cheats don't allow you to dual-wield careers, so to speak. You still have to choose one, and the "demote" command effectively kills off your current career. So, again: be careful! To raise a Child's Grade Performance: Works the same as with promoting careers, only add "Gradeschool" or "Highschool" instead of the name of career. Make all Sim friendly with one another: relationship.make_all_sims_friends. To teleport your Sim: Shift-Click on ground where you want the Sim to move. To cheat death: death.toggle. This switches the "death" setting between true or false. When it's "false," that means death is switched off, so nobody will die. 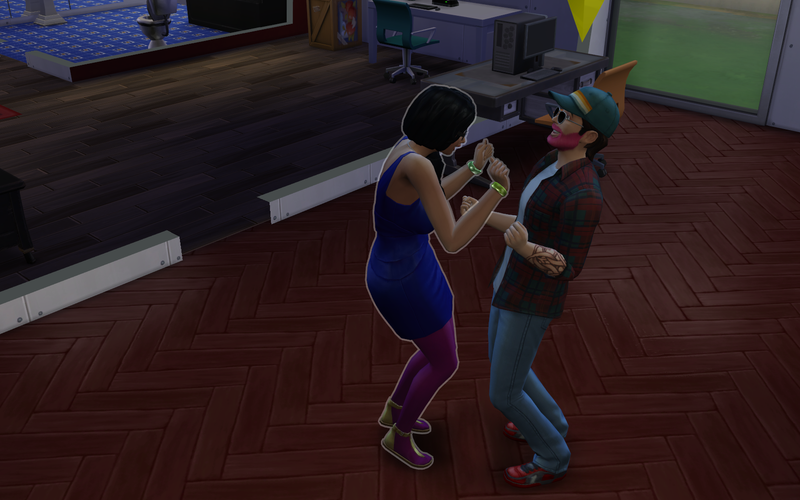 To modify a Sim's relationship with another Sim: You have to activate the "testingcheats true" code for these. Once you've done so, enter "modifyrelationship [your Sim's full name] [target Sim's full name] [50 or -50] Friendship_Main" to add or detract from their friendship rating. For the romantic rating, it's the same thing except you enter "Romance_Main" at the end instead. The number "50" is just a placeholder here, also. Play around with specific values to see what it gets you. If you want to add more stuff. To add a Sim separate from your household: sims.spawnsimple. To make a handyman show up who can start fixing things at your house: first, enter "soak.enable_soak_handyman_situation." Only after you've entered that, input: "soak.create_soak_handyman_situation." To make a maid show up to start cleaning: start with "soak.enable_soak_maid_situation," then add "soak.create_soak_maid_situation." To make a group of Sims show up for a party: enter "soak.enable_soak_party_situation," then follow with "soak.create_soak_party_situation." If you just want to mess around. To make an object dirty (or clean! ): Shift-click on that object when cheats are active. To make your Sim behave like a maid: sims.add_buff buff_Role_ServiceNPC_Maid. To make your Sim stop behaving like a maid, enter the same command except with "sims.remove_buff" at the beginning instead of "add_buff." If you want to try to kill your Sims. This is the one batch I haven't tested personally. But since a) trying to kill Sims is the favorite pastime for many players and b) it's surprisingly hard to do so without using cheats, as Patricia recently discovered, I figured I'd put these out there for others to try. These don't automatically kill your Sims, mind you. They just put them in a state in which they're more likely to die. Is it just me, or does this game take a very sharp turn towards the morbid at times? Now: these are just some of the cheats I've tested and found particularly useful. They're not all of the cheats that have been uncovered for The Sims 4 so far. And even then, we're still at the very beginning of the game, so there's no telling what other silliness of virtual lifehacks might surface in the future. In any case, if you're a Sims veteran or someone who's been toying with The Sims 4, please chime in with your own suggestions below and I'll continue to add to this list.